Add more style to your looks wearing this navy blue - white kurti. This short sleeves kurti is made from rayon cotton & linen fabric featuring solid colors pockets & button plackets. 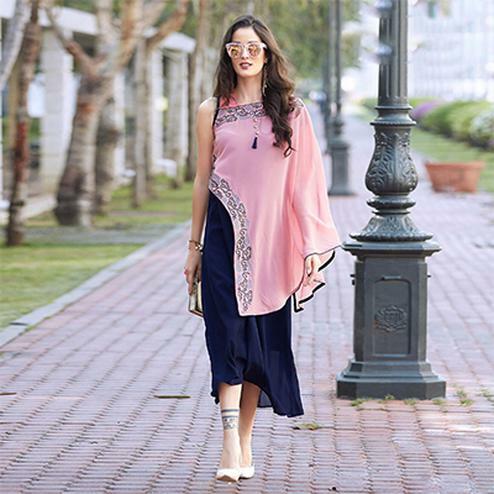 Dress it up by wearing this kurti with matching palazzo or leggings. Ideal for parties & weekend get together.